Lisa Kramer routinely speaks to groups of industry professionals and general members of the public on a variety of topics, including investor behaviour, neuroeconomics, and capital market seasonality. Her real-time demonstrations of investor behavioural biases leave audience members with lasting memories. Past audiences have included industry associations, wealth management firms, banking institutions, government organizations, and non-profit educational groups. 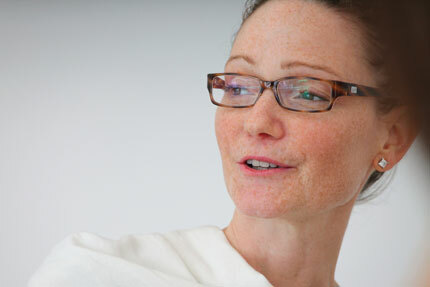 Lisa provides a captivating introduction to key concepts from the field of behavioural finance. Traditional economics is based on strong assumptions that market participants are fully rational. In this discussion, we consider an alternative view: that humans are prone to behavioural biases and these affect financial decisions in concrete ways. Many interactive and humorous examples are provided, and almost anything can happen. In any given presentation, randomly chosen audience members may be recruited to demonstrate behavioural finance concepts in real time, entertaining video clips may be employed, or a spontaneous auction of a $20 bill may emerge to humorous effect. Audience members will learn about cutting-edge developments and will come away with a new appreciation for the way our mind affects our money. This presentation can be customized to suit audiences ranging from novices to experts in terms of their financial expertise. Lisa draws on her experiences as a Visiting Scholar at Stanford University to highlight the exciting new field of neurofinance, which is a blend of neuroscientific analysis and behavioural finance. In this entertaining discussion, she highlights some of the surprising and interesting results that have emerged very recently from studies that use medical brain scanning technology to study financial decision making. What parts of the brain are involved in taking risks versus avoiding risks? Can brain scans tell us what investors are thinking? What does all of this mean for the future practice of finance? Lisa explains what has emerged from this new form of scientific inquiry and demonstrates its relevance to modern finance, consumer marketing, and even criminal justice. This presentation is suitable for generalists and financial professionals alike. Lisa is also willing to customize content to suit your audience's needs. Sometimes unexpected things happen at speaking events. 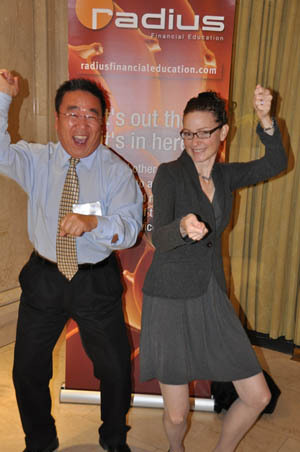 In a recent presentation I discussed the relevance of Gangnam Style to investor PSYchology... and then this happened!